Virtual reality (VR) is “threatening” to change the construction industry in the near future. VR technologies are far beyond the stage when it’s only gaming that can benefit from them. Virtual reality is slowly but steadily taking roots in major industries like Oil&Gas sector, and the construction specialists have also found several beneficial ways of using VR. The industry often suffers from work process stoppages and constant budget extensions due to blueprint inaccuracies or unforeseen problems. Construction works can take months or years depending on the project. But what if you could get into a house and check its every corner even before the foundation is laid? VR technologies can make that possible, as well as enhance many other aspects of the industry. Although traditional 3D models provide a somewhat better level of comprehension and interaction than bare blueprints and crude mock-ups, virtual reality has a lot more to offer. So let’s take a better look at the benefits of VR application and how it might change the course of construction industry development. What is the main challenge in construction? From the very origin of planned construction as a concept, people have always used tools that help them visualize, model and analyze the future build. First, it was a plain pen and paper and properly scaled mock-ups. But, thanks to numerous technological advancements, we now can recreate objects in a 3D environment using CAD software and Building Information Modeling (BIM). However, computer-generated details do not provide the full experience of a completed building. Hence, an issue might arise where the client’s vision of the project does not match the designer’s. Also, there are issues that are difficult to predict and which pop out after the beginning of the construction process. As a result, workers are often forced to halt the progress in order to reconsider and re-assess the decisions made based on the initial design. It often takes a lot of time and effort to understand what exactly clients need and make sure that the outcome meets their expectations fully. BIM models are not your usual 3D models used, for instance, in video games. Their central purpose is to make build asset data extraction and managing easier by generating both 2D and 3D digital representations of physical places with their functional characteristics. 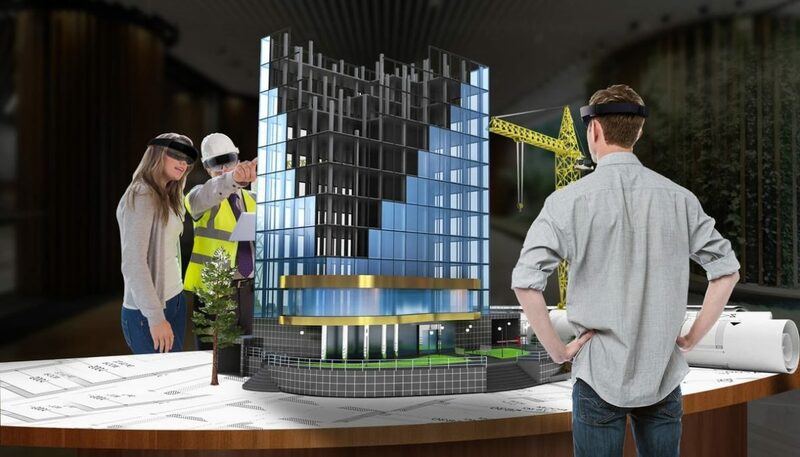 Now, BIM models and VR technologies can merge into a more interactive, immersive, and detailed virtual representation of a construction project. You can literally walk into a building that is yet to be erected. What does using VR mean for the construction company? Any party that is involved in the building process can spot potential problems (or identify any changes that have to be made) at the initial design phase. Any alteration needs that are detected during the construction phase usually prove to be quite pricey and time-consuming when done at the site. No more “it does not look like I imagined” phrases. A client can easily access their object using a VR headset and explore every nook and cranny to see whether everything matches their expectations and provide feedback. For example, they can check if there’s enough room for all the things they want to place inside and make the necessary adjustments in virtual reality. With that, any miscommunication simply becomes impossible. What is the best way to build VR models? One of the most precise methods is using laser scanning and BIM. If compared to conventional survey measurement methods, laser scanning (also known as LIDAR or point cloud survey) provides better accuracy and is cheaper. Moreover, for a town and landscape topography, it is possible to conduct scanning at night when there’s few to no people obstructing the surfaces. LIDAR methods allow for more precise surveying of complex geometry and surfaces that are hard to access. 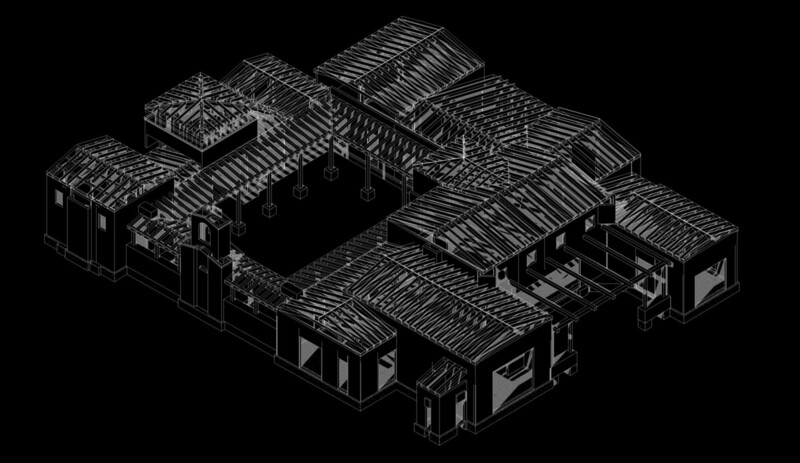 And, all the major BIM software has built-in compatibility with point cloud survey data so that you can import it as 3D graphic material. By combining laser scanning technology with drones, you can create highly detailed models for the virtual reality environment. For smaller scale models and interiors, there are plenty of solutions that support BIM. One of such programs is Autodesk’s Revit Live. With its help, you can move your BIM model into virtual reality for a more immersive experience. Usually, any construction involves a motley team of professionals. And it is vital to have a stable way of communication to ensure the best outcome. From a contractors’ perspective, virtual reality can provide a convenient way to discuss any important or pressing questions regardless of where the team members are. They could meet in a virtual conference room and see one another’s VR representations and hence use body language. It is also possible to grab all your 3D models into that environment to have it right in front of everybody and interact with it. Besides the location factor that can separate workers, there’s a mood factor that influences productivity. A VR environment can be tweaked and changed to create different locations be it outer space, the bottom of the ocean or futuristic hall. From a client’s perspective, VR can help establish a better understanding between the client and the contractors. Virtual reality can give the customers a chance to make changes or reconsider their desires at the phase of planning. When there is an effective collaboration between all engaged parties, any misunderstandings or errors are almost eliminated. An example of such collaboration is a medical center in Florence, Alabama. Layton Construction, the company that designed the center, created realistic 3D models of the facility to let people walk around the medical wards. After the VR mockups were finished, they let the personnel of the center into the virtual center using HTC VIVE system. They could move freely around and interact with the environment. As a result, over 200 people have explored the place. They have provided valuable feedback that allowed for important changes to be made. From a contractors’ perspective, if the project is large, people responsible for the object under construction might not always be able to visit the site frequently. By combining VR technologies and 3D camera, you can stream a 360-degree video in real time and let any responsible parties have a site tour to monitor the construction progress. From a client’s perspective, if you’re buying a house, wouldn’t it be great to see what you are going to purchase even before the first brick is laid? The “try it before you buy it” option wasn’t even possible for the construction industry before. However, with the development of virtual reality technologies, that gap had been breached. Now, potential buyers can explore their future property and customize its interior to test out different design solutions and see how their homes will look in virtual reality. It brings a more engaging customizing experience because the client can visualize themselves inside the house, add furniture and paint the walls in VR to get the perfect combination for their dream home. 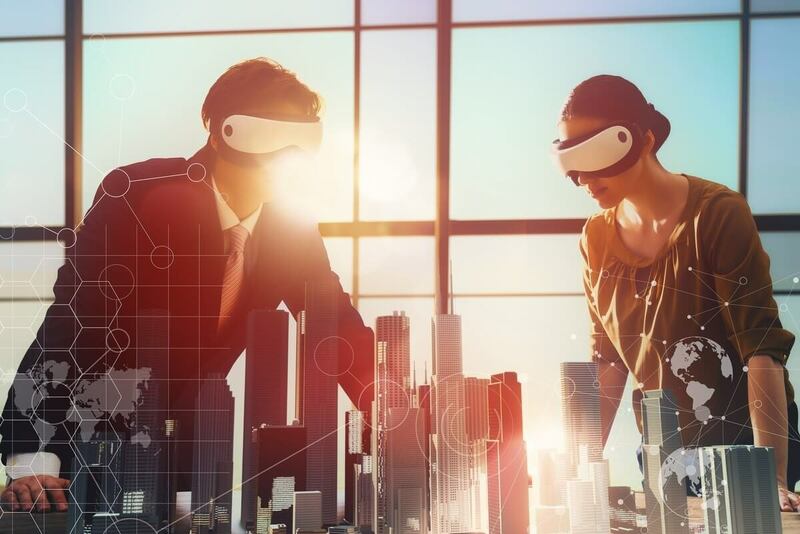 Getting the customer experience to the next level is exactly what virtual reality technologies can do for the construction and real estate industries. Basically, you can start selling property way before the construction commences. Is there anybody who’s doing that today? Japan’s Freedom Architects is one of such companies. They construct approximately 400 homes with custom design yearly. They provide their potential clients with a virtual tour around the property. That allows for experience impossible with 2D technologies. Freedom Architects’ director of development, Makuto Nagasawa, said that until the VR implementation, there had been certain aspects that could have only been realized after the building is completed. He also noted that virtual reality allowed designers to experience their creations in a matter of hours. 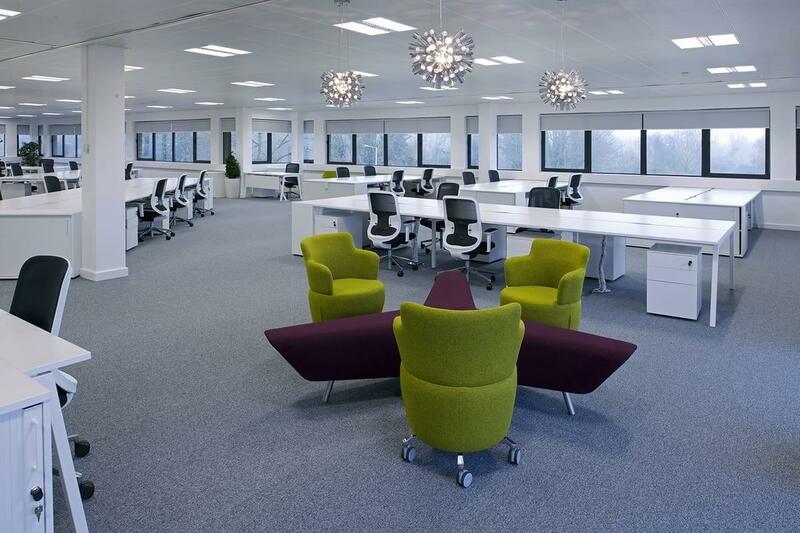 If we are talking about office-type property, Woodhouse Workspace is a design company that, with the help of virtual reality, shows potential clients how their office layouts and interior space can be used. Earlier we had an article entirely dedicated to real estate and virtual reality. Check it out if you want to know more. 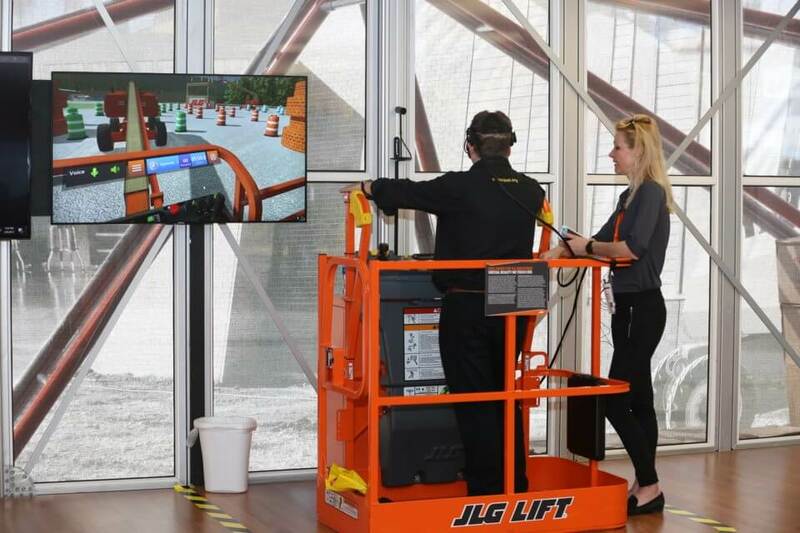 It is less expensive and much safer to train heavy-equipment workers – e.g., crane operators – in virtual reality. The thing is that many graduates with an engineering degree get their diplomas without sufficient practice at a construction site. Here is where VR training comes into play. With its help, engineers and architects could get much more experience before graduation. Also, the virtual environment allows workers to operate dangerous equipment without any risks whatsoever. And, it’s cheaper than real-life training where you’d need a real tower crane to train the operators. CertifyMe.net, a training and certification company that specializes on forklifts has a VR program for practicing in a risk-free environment. Using it, they eliminate any type of injuries and equipment damage, allowing for a trial-and-error approach without adverse consequences. As you can see, virtual reality can help to overcome a lot of challenges in the construction industry. By allowing a better pre-planning stage, where it is possible to explore a 3D model in VR, you can reduce rework associated with issues that are hard to predict or arise from misunderstandings. Workers can make as many mistakes as they need in virtual reality to master dangerous equipment without getting hurt or damaging the machinery. Even if the project team is separated by hundreds of miles, they all can gather in a virtual conference room to discuss any important questions. Sometimes, changes that are agreed upon during the construction might take from a day to several weeks to implement. Because there are fewer such alterations, it is easier to estimate deadlines. Also, thanks to VR streaming via 3D cameras, managers can monitor the building process more effectively. Virtual reality offers a common spatial experience that leads to better decision-making. Because there are almost no misinterpretations, the quality instantly goes up, and the number of “redo” requests drops significantly. 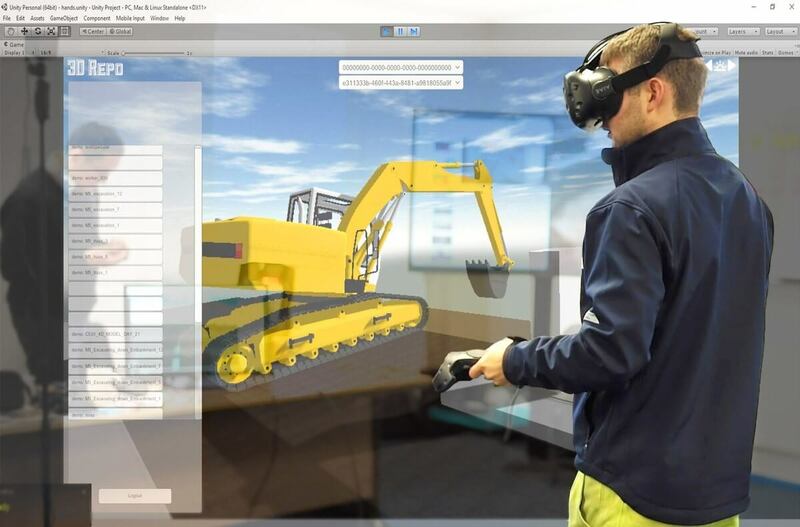 Is it expensive to implement virtual reality in construction? Not all of those features require a full VR system with headsets and controllers. Sometimes, for example for monitoring purposes, a cardboard headset with a good smartphone is enough. Where should I start if I want to launch a virtual reality app development for construction? You can always get in touch with us for professional virtual and augmented reality consultation. We will help you with your project and answer any related questions.